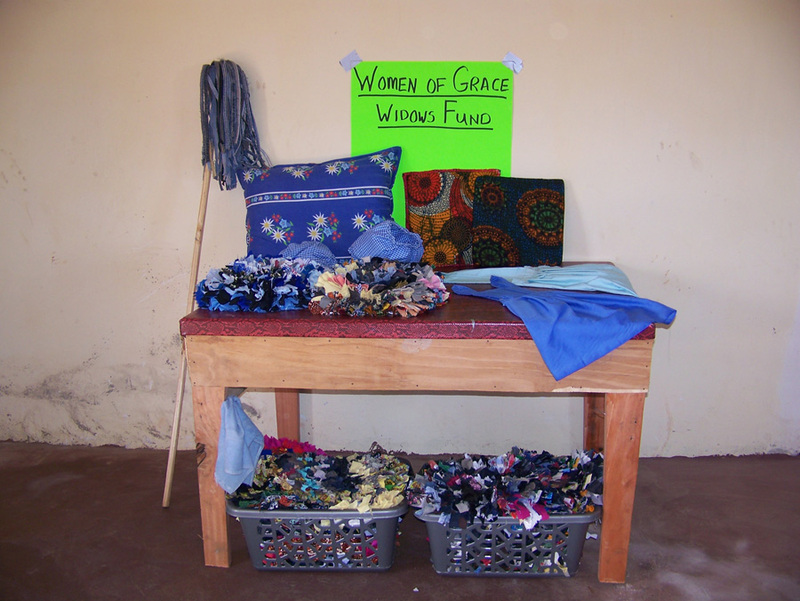 Thank you to all that have given to the Women Of Grace Widows’ Fund during 2011. 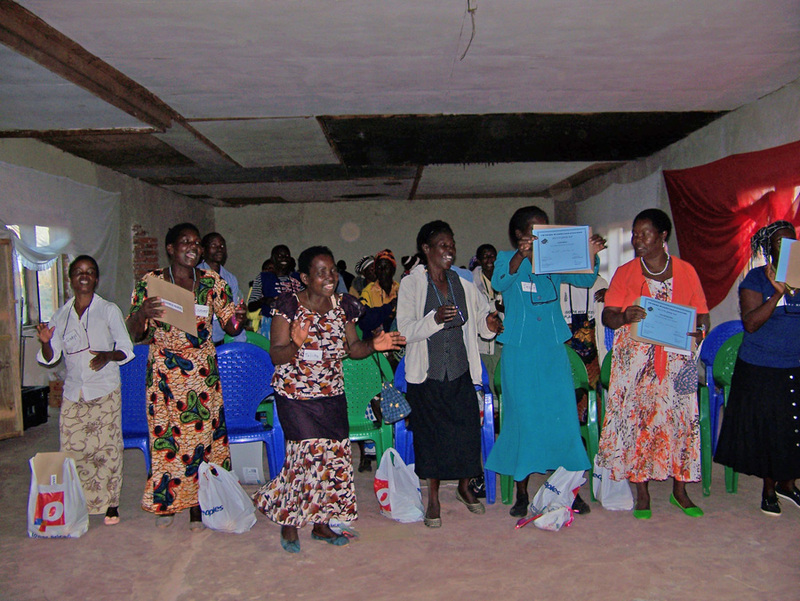 Thanks to the individuals, families, churches, service groups, women and youth groups, those supporting special events such as the sale of Malawi Notecards and Zumba-Thon in Watertown, and the Mom Prom in Canton, and those choosing to honor or remember a loved one with a gift to the Widows’ Fund. Through your generosity we not only met our goal of $12,600 for the year but we exceeded it by raising over $16,200. Monthly funds sent to Malawi and administered by our Malawi field directors, Sam Chirwa and Grace Chiumia, have provided shelter and food for widows, education for children and built brighter futures with micro-loans for small businesses started by widows. 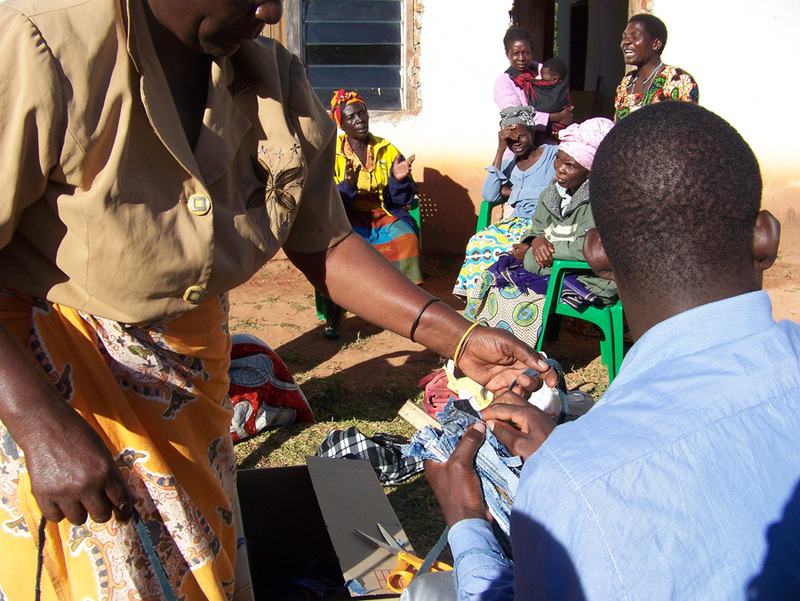 Funds raised beyond our annual goal were used for upgrades to the Clint McCoy Center and repairs to the Women Of Grace vehicle used by Sam to visit widows throughout Malawi. A reserve fund of $2,000 has been established to meet human and natural crises as they arise. 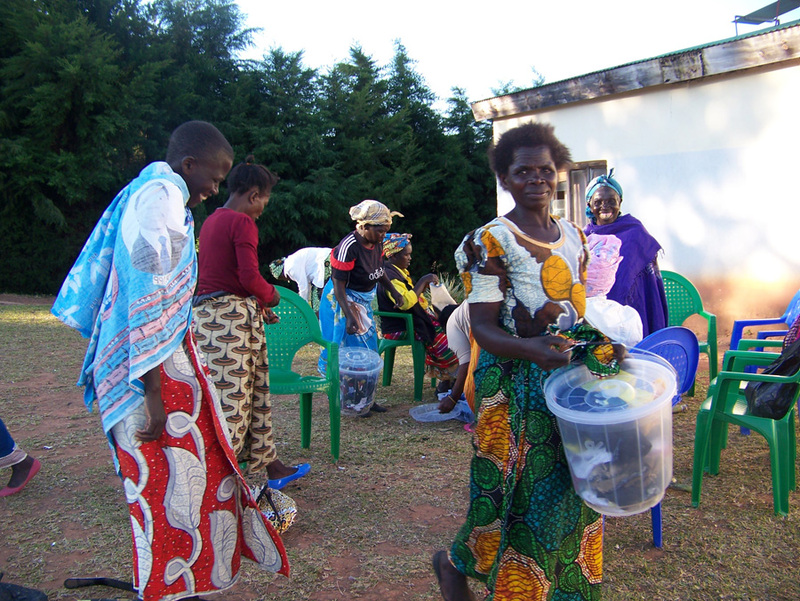 Our goal in 2012 is to again raise $12,600 to deliver consistent monthly funds for the Widows’ Fund in Malawi and continue to meet the needs of widows and their families. The origins of the Women Of Grace Widows’ Fund can be found in Mzuzu, a city considered to be the capital of Malawi’s Northern Region. It is here that Grace Chiumia and Sam Chirwa first identified vulnerable widows and Women Of Grace funds were used to assist them. Currently, 10 widows receive funds through the program for needs ranging from new roofs for homes, school fees for children in their care to blankets and food. A micro-loan program, administered by Sam Chirwa with Women Of Grace Widows’ Funds, also provides a brighter future for these widows by enabling them to start businesses such as raising chickens or selling beans at the market. Income from these modest ventures allows loans to be repaid and lives to be changed. 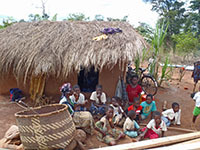 Mzenga is a remote village in Northern Malawi, two hours outside of Mzuzu. It is reached by traveling on the tarmac for the first hour and on dirt paths into the bush for the rest of the journey. Vehicle access to Mzenga is extremely difficult during the rainy season which is November to April. In 2008, the Women Of Grace Widows’ Fund began to identify widows, most of the them elderly, in Mzenga who were vulnerable and needed assistance. 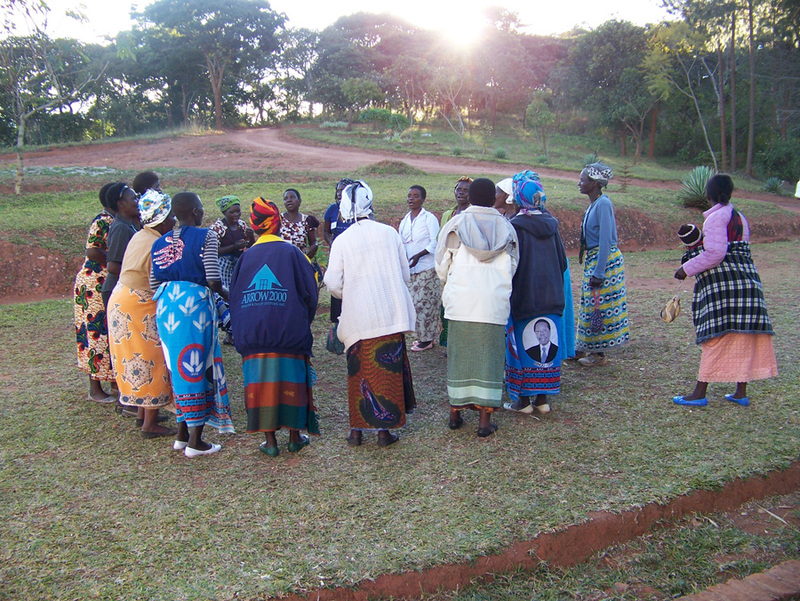 Unlike the widows in Mzuzu, the 20 widows served in Mzenga need help with daily living challenges. Starting a new business is not a consideration for many who are older. 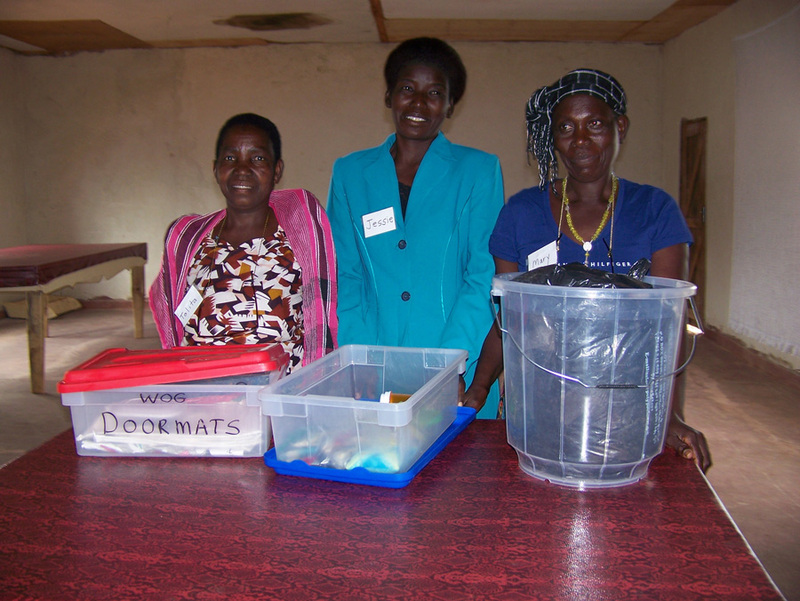 Sam Chirwa works closely with these widows and uses funding to meet the basic needs of food, clothing and shelter. Since summer 2010, construction of two new homes for widows has been completed in Mzenga. The 20 widows selected the widow among them who was in the greatest need to receive the new home. The building was supervised by Sam Chirwa with construction by the villagers using bricks they had hand made and funding was provided by the Women Of Grace Widows’ Fund. Each new 16’ X 20’ home is complete with windows, doors, three bedrooms, a common room, a food storage area and iron sheets for the the roof. Mzenga is also the site of the Clint McCoy Community Center where the widows volunteer to serve the local children, many who are orphans. 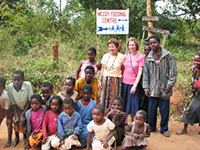 In July 2011, a delegation from the North Country was on hand as the community center in Mzenga, Malawi sponsored by the Women Of Grace (WOG) Widows’ Fund was named in memory of Rev. Clinton A. McCoy Jr., former Executive for Partnerships at the Synod of the Northeast who passed away in September 2010. In his earlier role as the Executive Presbyter for the Presbytery Of Northern New York, Rev. 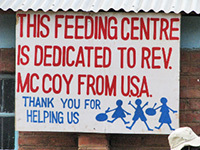 McCoy was instrumental in forging the relationship with the Synod of Livingstonia in Malawi which has produced many beneficial projects for the people of Malawi, including the Women Of Grace Widows’ Fund. On hand for the dedication ceremony in Mzenga were Rev. McCoy’s widow, Barb McCoy and his daughter, Erin Alarcon and Rev. Fred Garry of the Watertown First Presbyterian Church. The Clint McCoy Community Center is a partnership between the Widows’ Fund and the village. The villagers built the community center using their own hand-made bricks. and the Widows’ Fund provided the iron sheets (corrugated metal) and the funds for the labor. 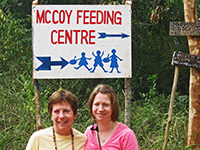 Widows volunteer at this center that feeds over 30 orphans and 80 local children two days a week. The orphans who receive these meals can literally go hungry without this service. 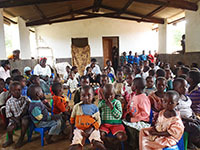 Women Of Grace funds are sent each month to Malawi to purchase the necessary food to feed the children served by Clint McCoy Community Center. These designated funds have been received through generous donations, many made in memory of Clint McCoy. Thanks to this generosity, funding for the feeding at the center is assured through the end of 2013. The outreach services provided by the Clint McCoy Community Center are overseen by Sam Chirwa and Grace Chiumia, our field directors for the Women Of Grace Widows’ Fund in Malawi. Our Women Of Grace board constantly looks to the future with an eye on revenue from micro businesses to benefit widows and children. We have initiated chicken and pig businesses through micro-loans, as well as a fledgling fish and honey business. 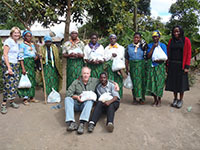 Proceeds from cooperative projects, such as the pig and chicken business in Mbowe, benefit the widows group as a whole. 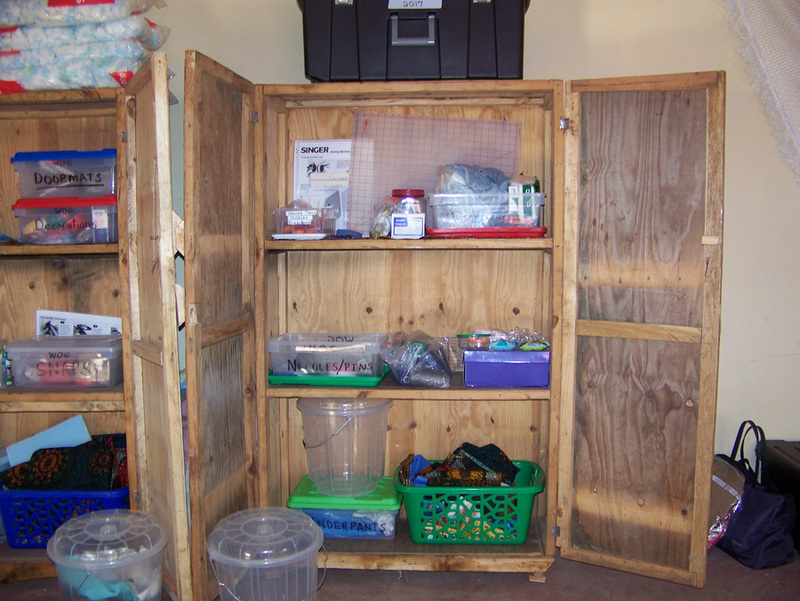 The sewing project began as an idea in 2010 with the purchase of a single treadle sewing machine which has been housed at the Mbowe Community Center. Until 2016, the machine has not been used for lack of training. Margot McGorman of Watertown, NY and Ellen Grayson of Canton, NY spent two weeks in June of 2016 with seven widows chosen by Sam Chirwa to receive training in treadle machine operation. 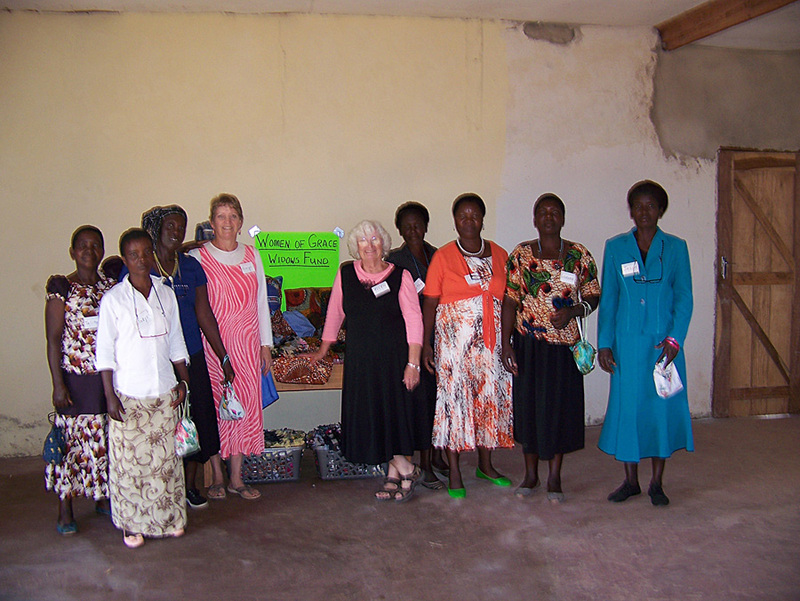 Fifteen widows from Mbowe were trained to repair clothing and to make doormats. 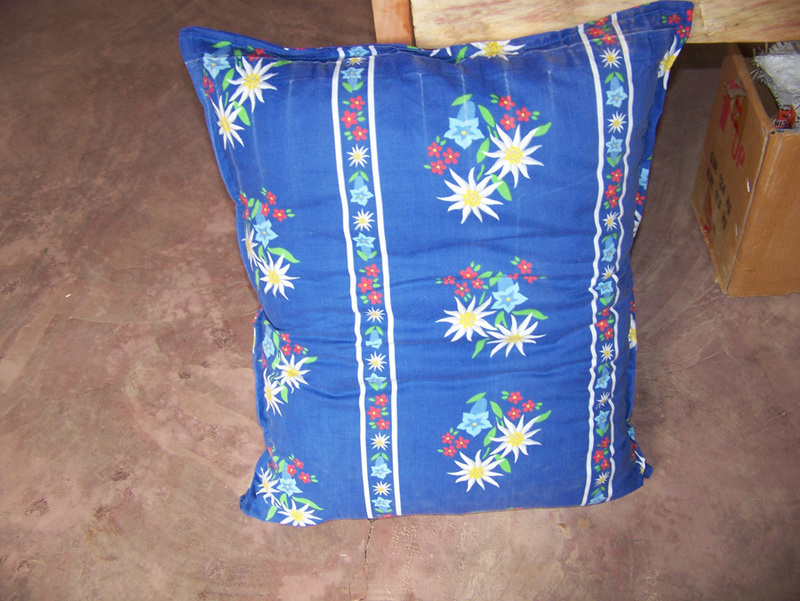 With the assistance of local tailor Juma Banda, as well as Margot and Ellen, the seven women produced chair pads, pillows, mops and underwear, as well as simple bags. Products created can be sold at the local market and produce much needed funds for the group to use as a whole. In addition, the objective is to have the previously trained women teach other women to sew in turn. The instruction will continue with the addition of electric sewing machines to be taken on the next training trip in 2017. Mbowe has the rudimentary beginnings of solar powered batteries which will supply power to the machines as well as much needed electric lighting. An effort to increase capacity of solar power is already underway. Margot, Ellen, Sam, and Grace see this sewing project as having the potential of being a major revenue stream for women in Central and Northern Malawi. Click or tap a thumbnail image below to enlarge. The March 2015 Fact Finding Trip included meetings with two of our three widows groups and a visit to the Clint McCoy Community Center. Below you will find a slideshow of this trip.